The Sonderhoff group of companies and its representative in India, Magal Engineering Company, present their comprehensive range of products and services to the electronic industry at the ELECRAMA, the biggest showcase of the world of electricity, from February 13 to 17, 2016 at BIEC, Bengaluru, India. 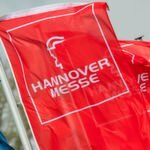 At their booth HB36 in hall 4A Sonderhoff and Magal will highlight on the great variety of foam sealing, gluing and potting solutions for electronic component applications that are processed by fully or semi-automated dispensing systems using the Formed In-Place Gasket (FIPG) technology. 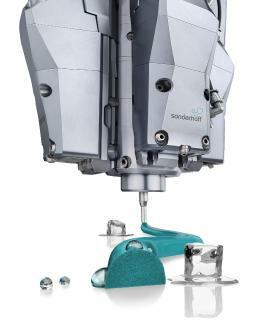 The Sonderhoff group of companies specialized in the FIPG technology, offers worldwide as a one stop shop the 2-component sealing, gluing and potting material based on polyurethane, silicone or PVC, as well as the corresponding mixing and dosing system for the automated parts’ application and the process know-how. The customers can select from more than 1,000 formulations. They can rely on multi-patented knowledge and 55 years of experience from Sonderhoff. The Magal Engineering Company (India) works as sales partner for Sonderhoff in India for several years. Magal is a premier one source for supply, service and consultancy of sheet metal working machines, metal cutting and forming machines as well as metal processing and finishing equipment in India. 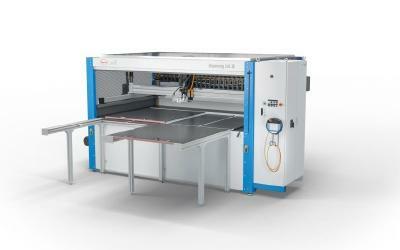 At the ELECRAMA both companies focus on the presentation of four major topics: the economic advantage of the Formed In-Place Gasket technology and Fast-Cure foam sealing of switching cabinets or electronic housing for faster further processing and earlier assembly. Both saves time and money. 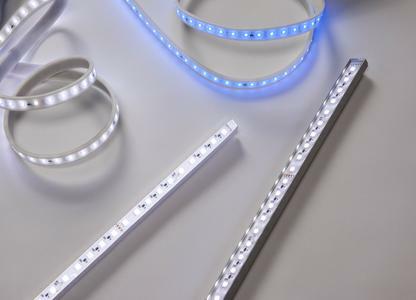 In addition they show foam seals with flame protection according to US standard UL 94 HF-1 and polyurethane based potting systems for optimal LED encapsulation. The first issue pursued by Sonderhoff and Magal is to encourage plastics and metal processing companies of India’s electronic industry to establish FIPG technology as its production standard. It has a lot to offer, for instance, the efficient and economic foam sealing of switching cabinets. Their bodies and doors need to be sealed tight so that dirt, dust and moisture are unable to penetrate the interior and damage the electronics. The faults that such effects can cause could result in production downtimes that are invariably associated with high costs. Especially today, the highly automated industrial production relies on the proper functioning of the sensitive electronics in the cabinets. Sonderhoff develops and produces special polyurethane foam seals used for switching cabinets and electronic housing. They offer a wide range of characteristics according to the specific type of material selected: short assembly and tack-free times thanks to very fast reacting Fast-Cure foams, high flame protection compliant with fire safety standard UL 94 HF-1, suitable for indoor or outdoor use, excellent elastic recovery properties of the foam seals following compression and excellent sealing properties based on testing classifications defined by NEMA for North America or the IP classes (ingress protection) in Europe. These sealing properties increase the tight protection of electrical and electronic components in switching cabinets against dust, rain, splash and stream water, as well as flame-retardant. 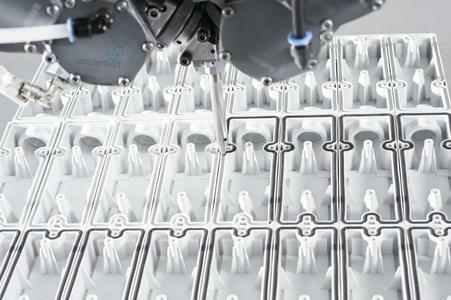 Further advantages of the FIPG technology are provided for metal and plastics manufacturers: An automated process for precise dispensing of 2D or 3D components in a great variety of shapes using linear or 6-axis handling robots. It offers consistently high quality as the foam sealing is very accurate to the parts’ contour. Also 2-component adhesives or potting material can be processed with this dosing technique. FIPG is adaptable to different production processes and very efficient, especially for large quantities. This leads to potential cost savings because raw materials can be utilized up to almost 100% and less personnel is needed due to a higher degree of automation. The Fast-Cure foam seals for switching cabinets are water-repellent and therefore, can be specially used outdoor. The water uptake in their compressed state at room temperature is less than around 3% for outdoor foam seals and around 5% for indoor foam seals. This means that protection classes up to IP 67 can be achieved, depending on the component design and the foam system used. One of the mayor reasons using fast curing foam seals are the cost savings. The customer does not need to invest in tempering furnaces for foam curing. Thus no energy costs occur and only short conveyor belts are needed for the curing. The installation time is also crucial for the assembly of switching cabinets, i.e. the time needed for the foam seal to cure and the time from which the foamed components can be put together to create a cabinet. Until final assembly, the individual control cabinet components - side pieces, back wall and doors - are usually stored in piles until they are fully cured. If the new Fast-Cure foam seals from Sonderhoff for switching cabinets enable the installation times to be reduced by at least half, significantly fewer components need to be stacked up for a shorter length of time. This saves on storage space and warehouse costs. 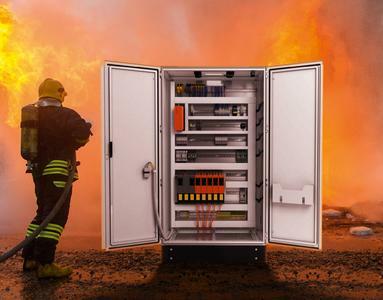 One element of the broad spectrum of properties of the foam seals from Sonderhoff for the sealing of switching cabinets and electronics housing is the Fermapor® K31-A-45C4-2-UL-FR polyurethane foam seal with flame protection. It fulfils fire safety standard UL 94 HF-1, the highest fire safety class for polyurethane foam seals in the USA, and is therefore classified as self-extinguishing without burning droplets. 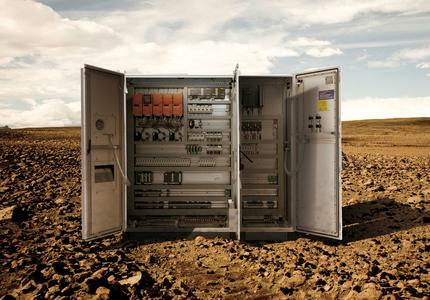 It also complies with US testing standard UL 50E for control cabinets and electronic housing in non-explosion-protected zones, as well as UL 508 for the safety of electrical switchgear. All three are key requirements for the marketing of electrical equipment and other electronic applications in the US, Canada and Mexico. The process of automated formed-in-place applications with potting material has been for decades the standard method in the automotive, electrical, packaging and lighting industry. 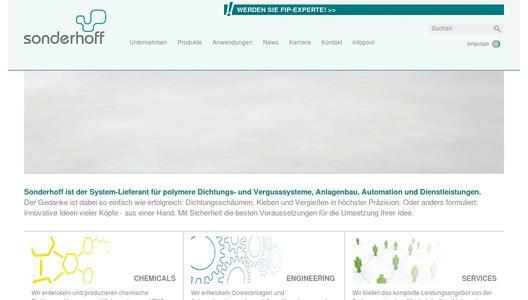 To these industries Sonderhoff offers the potting systems FERMADUR® which are room temperature crosslinking 2- component polyurethane compounds varying from hard and soft to gel-like. The FIP potting technology has the potential to save time, cost and manual operations. It is applied in liquid form directly onto or into the part and cures thereafter without a furnace. Potting compounds have a self-healing effect so that scratches on their surface return to the original undamaged condition. Especially the encapsulation of LED lighting against environmental influences and mechanical damage becomes increasingly important. For that purpose FERMADUR® potting systems are available as transparent or translucent (opaque) casting compounds and they are very UV stable. The light transmission grade of transparent potting is approx. 90% and translucent potting ensures optimal light diffusion. High water resistance of LED potting with ingress protection classes up to IP 67 ensure safe outdoor applications. Perfectly sealed control cabinets that provide high-performance and fault-free electrical distribution are for instance one of the prerequisites for the industrialization of developing countries all over the world. The plastic and metal processing companies in these countries can source from Sonderhoff everything they need for the sealing of switching cabinets and housings for electronics: the broad spectrum of properties in sealing products including potting solutions as well as the mixing and dispensing systems for the FIPG application of components. 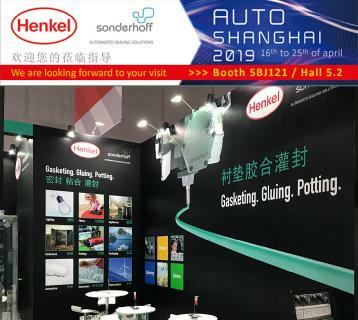 The sealing products from Sonderhoff are used for foam gasket, gluing and potting applications of various industrial components, for instance, from the switch board enclosure, electronics, automotive, air condition, filter, lighting, photovoltaic, packaging or household appliance industry.